We are Sarah and Sarie. 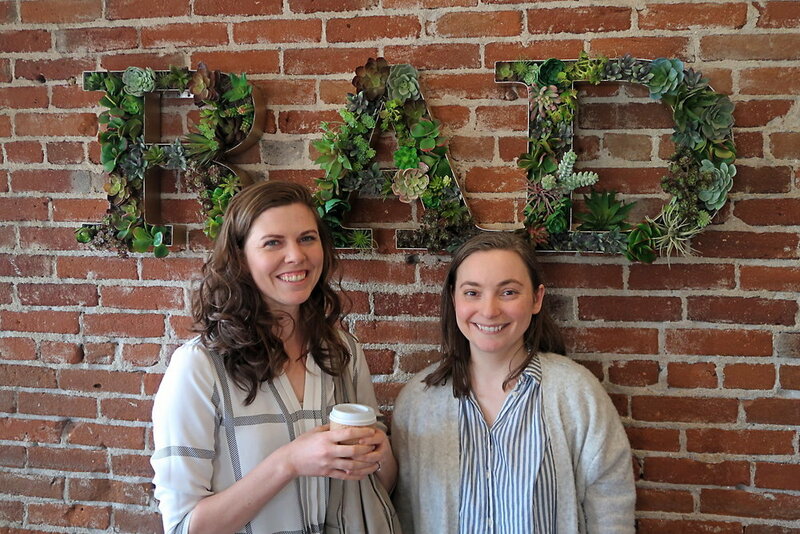 We are friends and speech-language pathologists who talk about work, life, and making our way up and out through burnout, stress, and overwhelm. Let's consider the cost of saying yes, and say no more. Let's do fewer things on our to-do lists, but do them better. Let's reclaim our time and spend it on what matters. We enjoy sharing conversations within the SLP world about what it's really like to be an SLP. In the podcast, we talk about why we love the profession, but also what we are struggling with in real time. Our goal is to be helpful and encouraging to SLPs. This podcast feels like sitting down and listening to a conversation between SLP friends. We hope to also share ideas and tips along the way that help you become an even better SLP. Although - newsflash - we think you are pretty great already. You can find our sticker shop, where we sell SLP self care stickers here to support the podcast. We are currently accepting sponsors for advertising, so if you own a business or know someone who owns a business who might like to advertise, contact us. Sarah loved radio from a young age and listens to a LOT of podcasts. This podcast is all about being an SLP from a real SLP perspective, and it's something we weren't seeing much out there on the internet. Consider this the thinking SLPs podcast on work and life. It took awhile for Sarah to find the right co-host, and when Sarie agreed to come on, well...the rest is history. Is this podcast just for speech-language pathologists? No. We have students hoping to be future SLPs listening, as well as SLP - Assistants. All are welcome! Also, if you work in education (particularly special education), we think you'll be able to relate to most of what we talk about on this podcast. This podcast is all about navigating life working in a helping profession, from a speech-language pathologist's perspective. If you have a podcast player on your phone, you can find us there. If you don't, this page (above) also links to buttons where you can listen on your web browser on either Stitcher or iTunes. How often do new episodes come out? We try to post new episodes twice a month. We try our best, but we are full-time SLPs, and this is a side project for us. So our paid gigs and our families come first and episodes may sometimes come out later than expected. We use a podcasting microphone called a Blue Yeti. We use audacity to record our podcasts and edit them. We currently use Spreaker as our podcast host, but there are tons of podcast hosts out there that are just as good. We've had to learn a lot to start a podcast, and it is a tech heavy endeavor. We used Doctor Google and Professor You Tube to gain our Phd in Podcasting. OK, our Master's degree, at best. You get the idea. We also had plenty of help from our techie friends to teach us new skills. These programs aren't particularly intuitive to use, so there is a learning curve. We blog about our podcasting tools here. Any tips for getting into graduate school? 1. Apply for lots of programs and be willing to move if needed. 2. Get excellent grades. And I do mean excellent. 3. Study for your GRE and do your best. 4. Develop a professional relationship with a speech-language pathologist whenever possible. Volunteer. Help him/her out consistently. Experience showing you do know what this job is actually like and getting a recommendation letter from an SLP who can comment on your skills is a huge bonus. 5. Hope for the best. Beyond this, honestly - a lot of this is out of your control. 6. Best of luck! We are rooting for you! The SLP Happy Hour instagram page is active, feel free to follow us there. You can also click on the Instagram button on the bottom of this page (in the footer) to find us on Instagram, or click the link here. Do you do all the work for the podcast (social media, sound editing, show notes) yourself? We sure do. Each episode took about 8 hours total (from idea to final edit) at first, and now we are down to about 5 hours of work per podcast episode. This podcast really is a labor of love from the two of us.